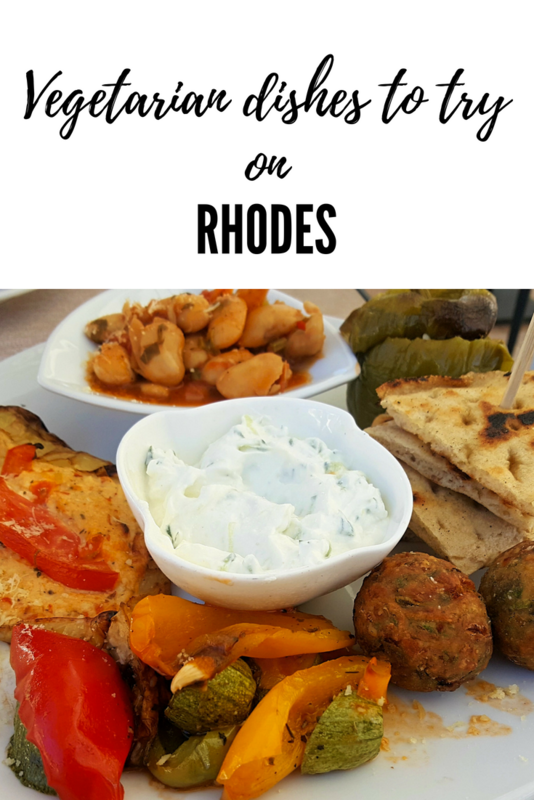 One of the highlights of my recent trip to Rhodes was the incredible local food. Just thinking about it now makes my mouth water. 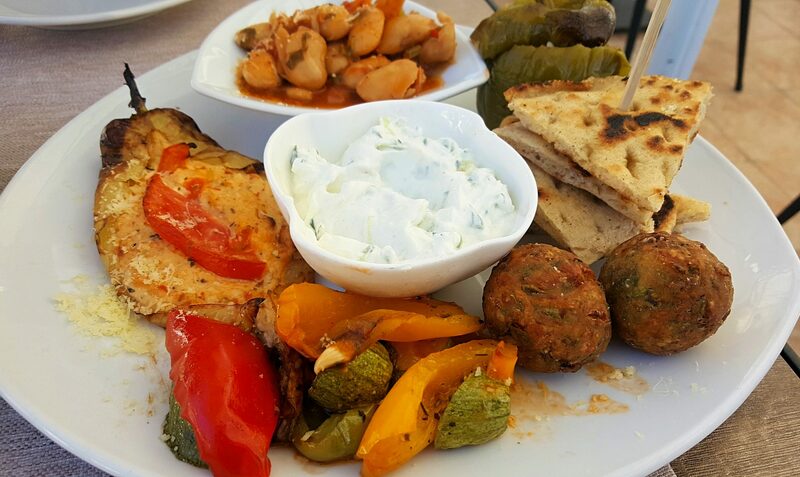 Add to that amazing Greek hospitality and you’ve got a dining experience you’ll never forget. If I could eat only Greek cuisine for the rest of my life, I’d be as happy as a clam. 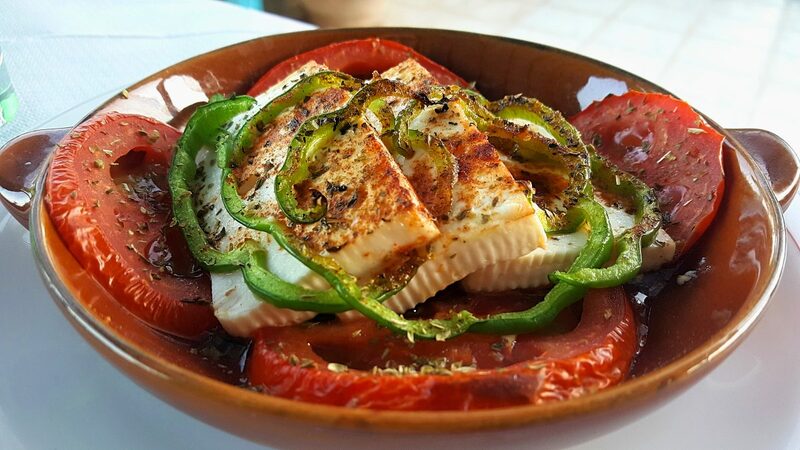 Below are some of the vegetarian dishes you have to eat on your next trip to Rhodes. 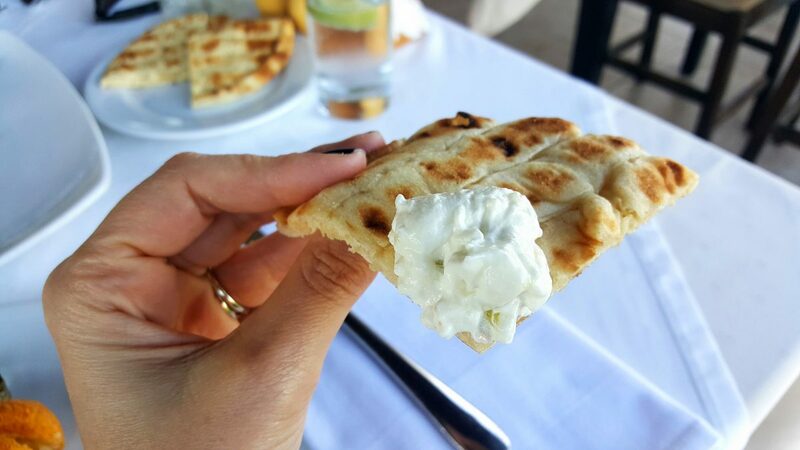 I don’t know how the Greeks prepare their pita bread, but it’s to die for! Seriously, I could eat a whole basket of plain pita bread all by myself! 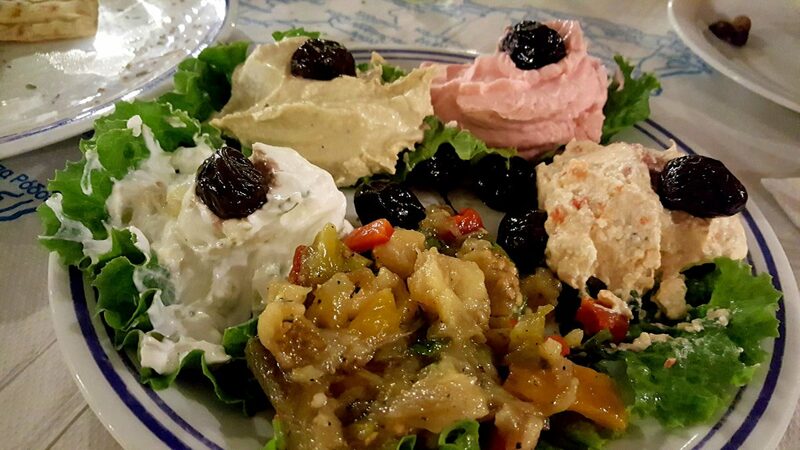 Let alone all the delicious dips… Hummus, tzatziki, spicy feta dip (tirokafteri) and eggplant salad (melitzanosalata). The latter two dips are my favourite and you absolutely must try them. Dolmades are tasty bites of spiced rice wrapped in vine leaves. Just be sure to check the menu because some restaurants serve minced meat in their dolmades. 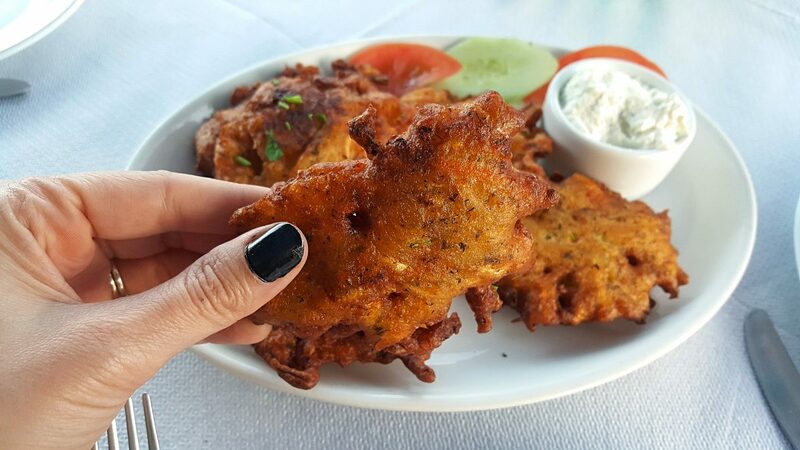 Pitaroudia are big, fluffy chickpea fritters that originated in Rhodes. The flavour profile is unique and not at all similar to falafel. Think chickpeas mixed with onions, tomatoes and various local herbs and spices. It’s crunchy and juicy and delicious! This is basically a pimped up version of baked beans and consists of giant white butter beans cooked in a tomato sauce. This is the dish for you if you love beans. Who would have thought that something so simple as grilled vegetables could be so delicious? There’s magic in simplicity (and seasoning). 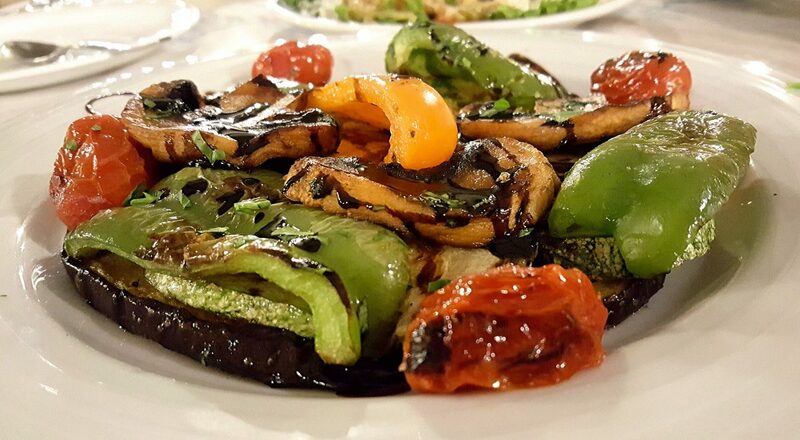 You can expect to see eggplant, squash, mushrooms, tomatoes, and peppers charred and grilled to perfection, served with olive oil and balsamic vinegar. Yum! 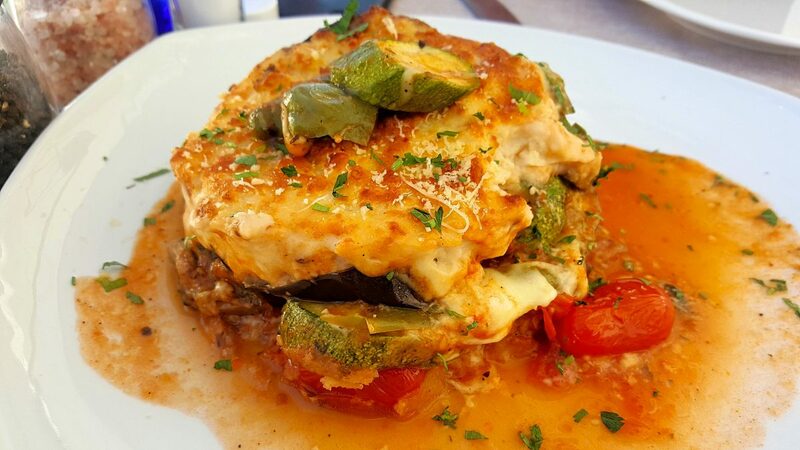 If you only try one vegetarian dish on Rhodes, let it be vegetarian moussaka. This eggplant and tomato based dish is legend! Layers of vegetables in a tomato sauce topped with a cinnamon and nutmeg spiced béchamel sauce and baked together until crispy and golden…what’s not to love? To say that Greeks love feta is an understatement! 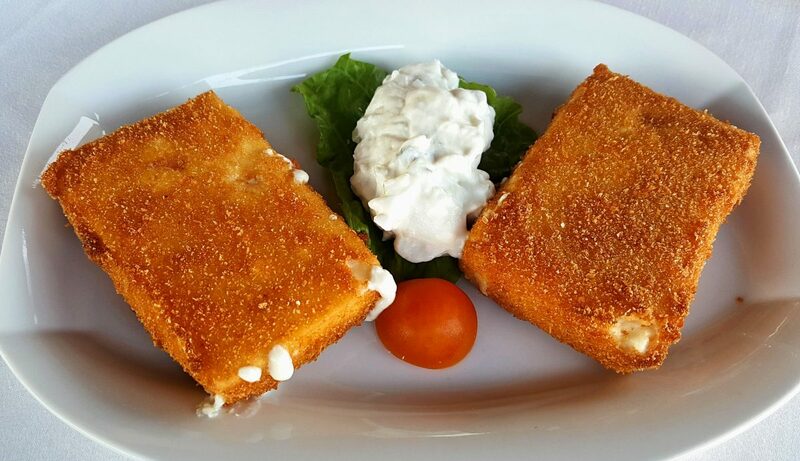 They put it in salads, dips and serve it grilled or fried as a starter. I highly recommend the fried feta. It may not be the healthiest option, but it sure is yummy! Perhaps you’re surprised to see yogurt and honey on this list. 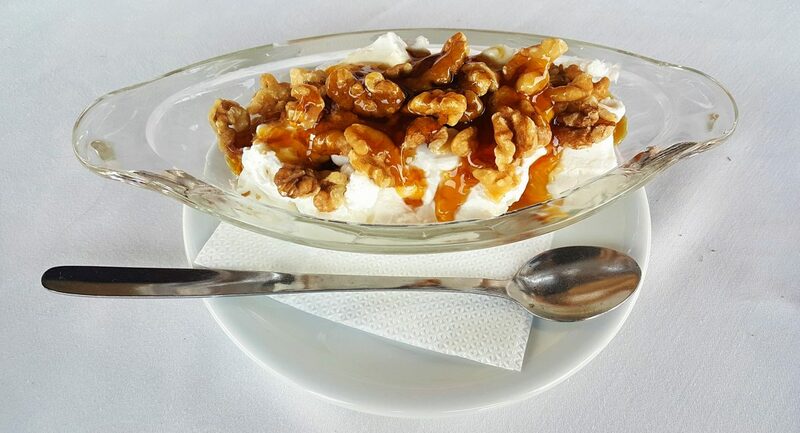 But trust me, there is something different about eating Greek yogurt in Greece. It’s super creamy and rich and decadent and usually served with honey and chopped walnuts. My favourite Greek dessert is Kataifi. It’s similar to baklava but made with kataifi dough. It’s crunchy, sweet and gooey. It definitely ticks all my dessert boxes. 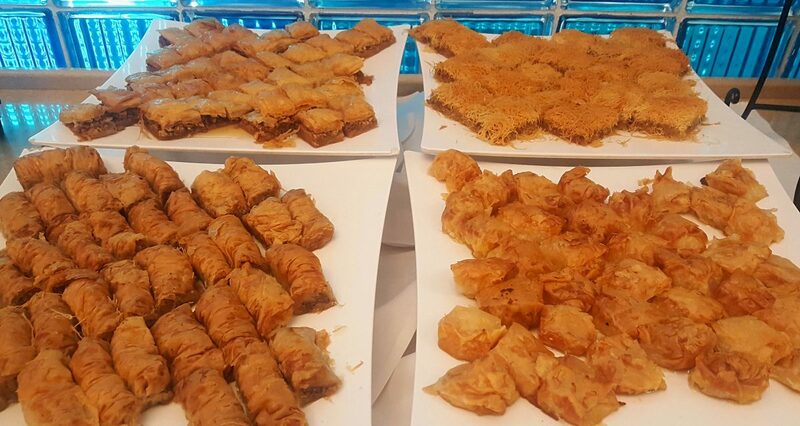 What is your favourite Greek dish? Let me know!